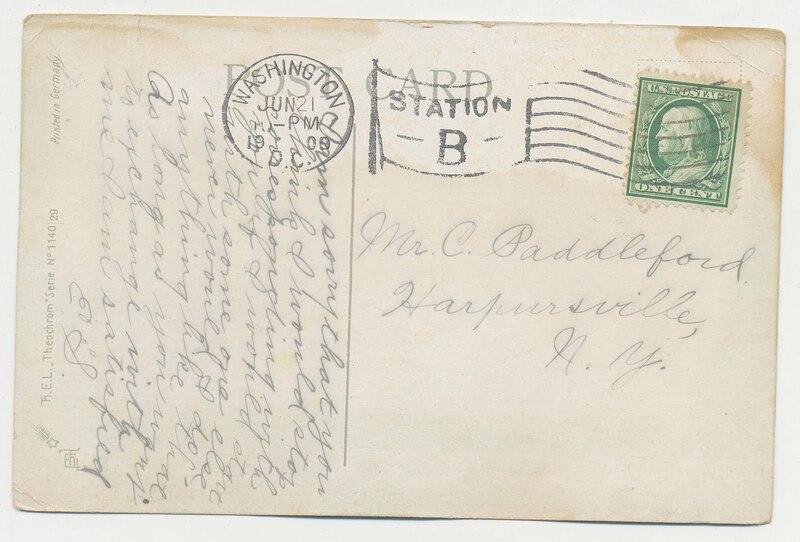 The odd thing, though, is that the postcard is addressed to a Mr.
What an interesting post card, and with a mystery! 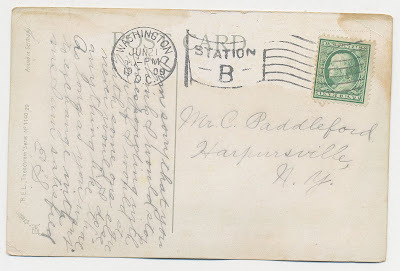 It's also interesting that in 1909 no address or zip code was needed in Harpursville, NY. Ellen, zip codes didn't come along until MY lifetime! I do like the picture on the card, though. You are the only girl. You are the only girl I ever loved. The whole thing does let in a few questions, doesn't it? 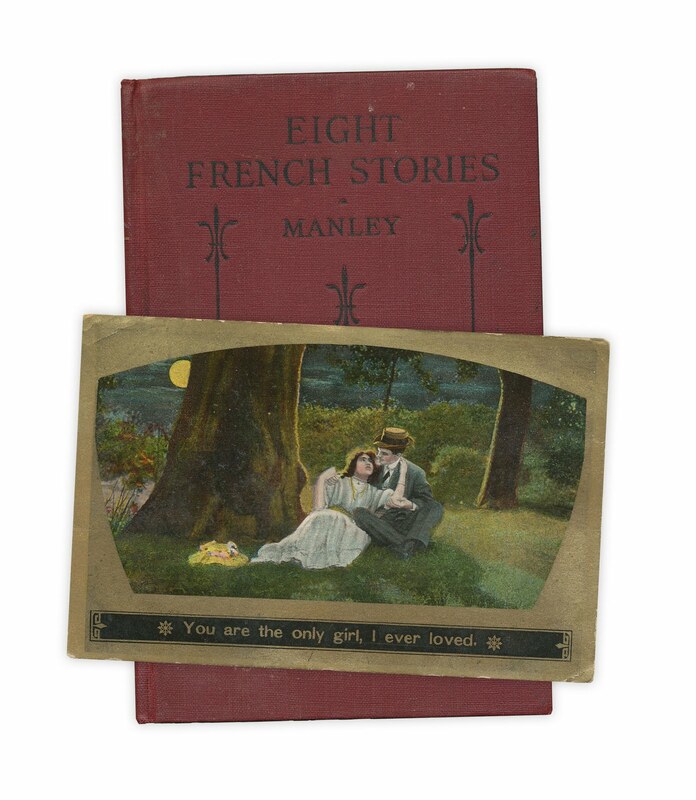 It has a unique charm, some mystery and, in this age of emails and tweets, is a little melancholy. Lovely words, so romantic ! The unnecessary comma bothers me also (former English teacher), but otherwise it is quite romantic.